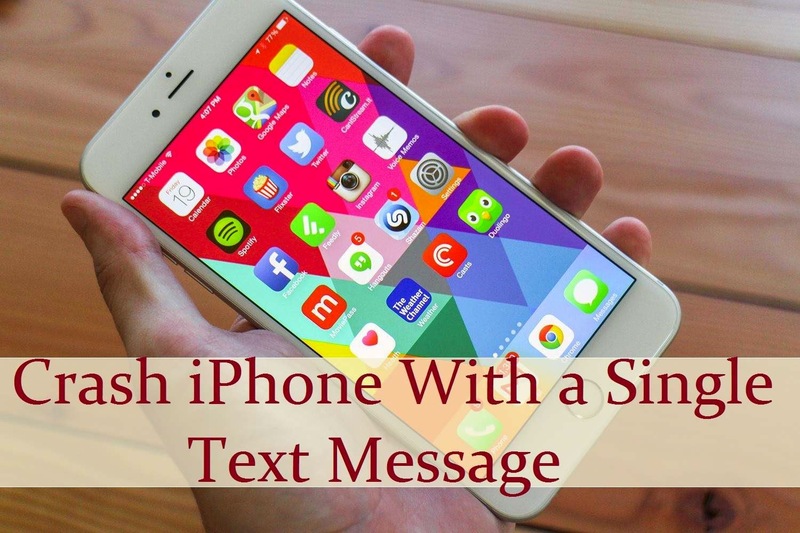 A flaw in the Apple iOS cause the messages app to crash that too via a single crafted message. Because of this single crafted message cause iPhone device to reboot automatically. IPhone gets continuously rebooted until and unless someone again send a message to the device. But this iOS bug only exploited when this crafted message is sent from iPhone to another iPhone. One good news is that the bug is not affecting iPads. IPods and MAC Computers. Macrumors has published a few suggestions to solve the issue, you can get that from below. Its good that the bug didn't caused any long-term damage to the receiver iPhone. And it neither effect to the users stored data. This type of bug is not new in iOS, but earlier in 2013 also similar type of bug effects iOS 6 and Mac OS X 10.8 .